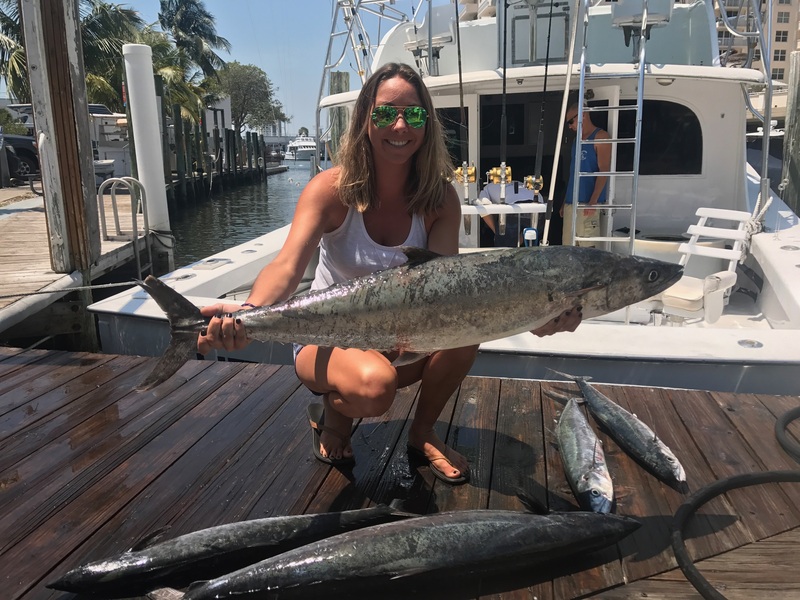 We’re getting some smoker kingfish, mahi-mahi, blackfin tunas and groupers on our Fort Lauderdale fishing charters this week. The fish are out there, you have to work to catch them but they are there. 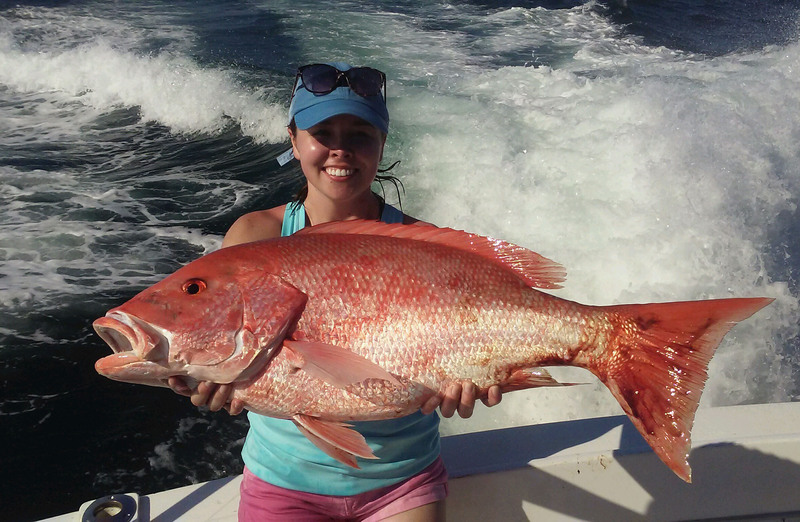 Trolling the reef is producing the best action. Fish tend to congregate in the same depth for hours at a time, so when you notice you keep getting bites when trolling through a specific depth, keep working that area. Nice red grouper caught on our drift boat. Wreck fishing is producing some good numbers of fish too. 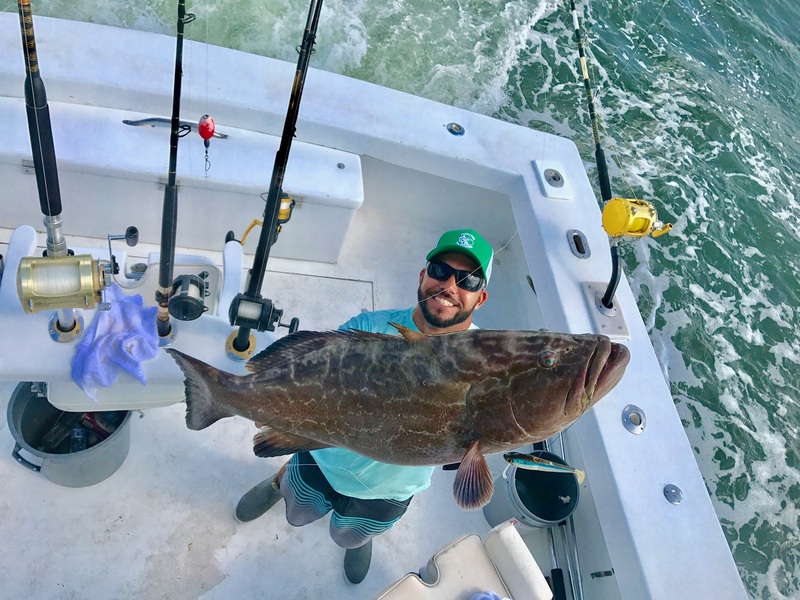 Groupers and amberjacks are biting on 200-300ft shipwrecks. 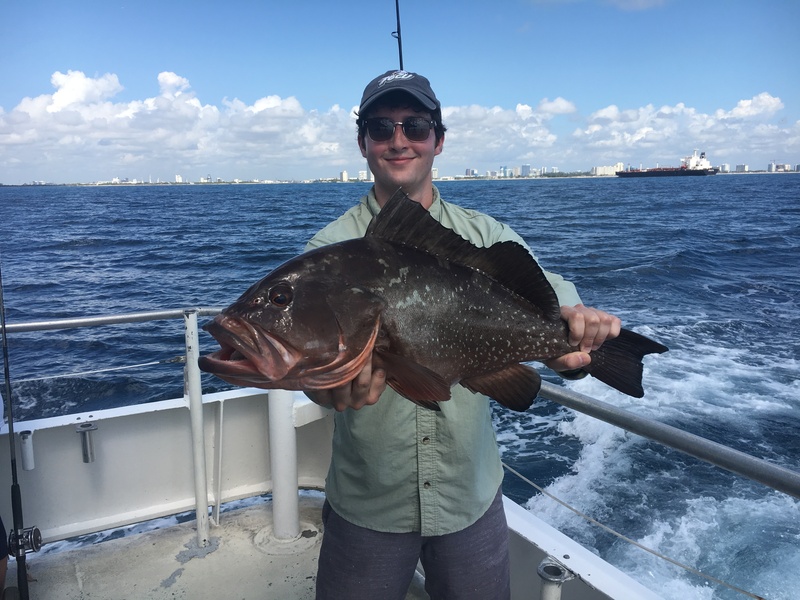 Grouper season just opened so there are some pretty big fish on those spots still. Amberjacks are also biting around these same wrecks; the magic number seems to be wrecks in the 200-300ft depth range. These wrecks hold the best numbers of fish this time of year. 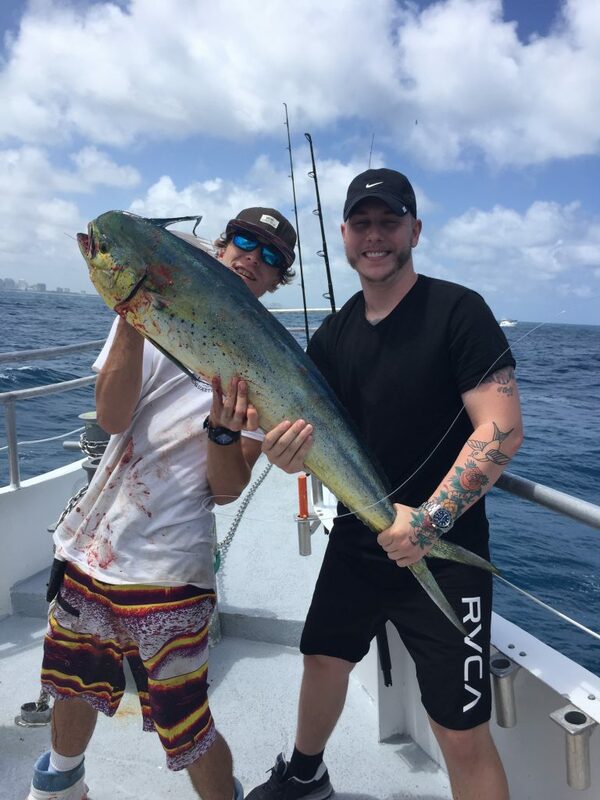 Sharks, sailfish and mahi-mahi are all the big game fish that are biting on the top of the water. Kite fishing is effective in catching these surface feeding gamefish. Kite fishing is done by flying kites and attaching the baits to pressure release clips strung along the kite. The kite keeps the live baits suspended on the surface and splashing. This draws the surface predatory fish in like ringing the dinner bell. The action isn’t as good as trolling, but this is the technique best used to get big bites on big fish on the surface. I love kite fishing in May, we catch some cool fish. Your best bet in May is to stay flexible. Different fish bite on different days, and there’s a million variables that affect the bite. Be ready to change tactics if you hear a different tactic working. The fishing in May is good, so you can usually find some pretty cool fish. Good luck to everyone fishing over the next few days. I’ll sea ya on the water.